In order to create an effective security roadmap, you must first assess your current solution, identify gaps, and evaluate risk. Although this may sound like a large undertaking, doing so with the help of an IT support professional will set you up for success down the road. Begin by taking inventory of all your tech assets. Your inventory might include desktop computers, laptops, routers, servers, and tablets. You should also account for devices like printers and fax machines that are connected to the internet and capable of receiving, outputting, and storing data. If you use cloud storage, be sure to include these non-physical assets on your inventory list as well. Once you’ve created an accurate inventory, your in-house IT team or MSP (managed service provider) can use it as a starting point to assess your IT security gaps, inefficiencies, and risks. Knowing the pitfalls of your current solution and the threats that they represent will help guide the creation of your new security policy. In this second stage of creating your IT security roadmap, use the insight from your IT and risk assessment to inform policy decisions. For example, if your current system has a universal login for all employees and doesn’t require additional identification, it may undermine individual accountability and threaten sensitive data by allowing too much access. A new security policy might limit access to sensitive data to a small group of authorized personnel and allow other employees to access only the data they need in order to operate. This security policy should, in turn, guide your solution choice and strategy. In other words, to meet this more sophisticated policy standard, you’ll need to find a solution that offers multi-factor identification, individualized logins, and admin control to dictate user permissions. By responding to each of your security gaps with appropriate policy changes and using your updated security policy to guide your IT security choices, you’ll end up with a solution that’s tailored to your organization’s needs and goals. 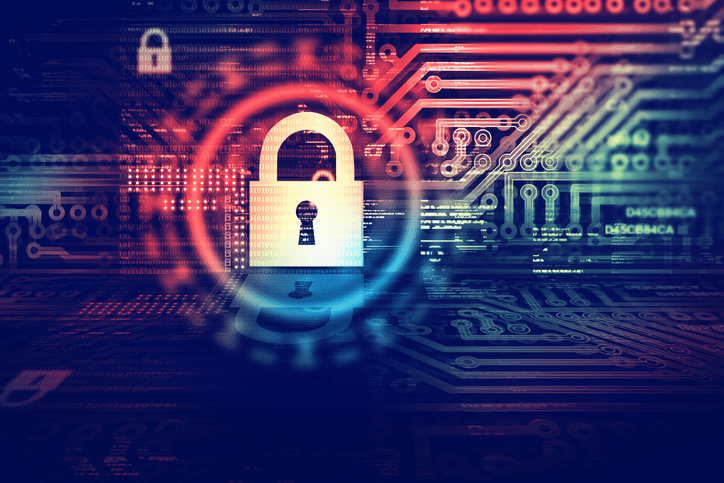 When choosing between data security solutions, don’t forget to consider whether each solution provides the flexibility required to evolve with your needs. Along with locating new solutions, your security policy should enable your IT support team to make the most out of your existing assets and solutions. To use the above example, if every employee is using the same security login to access company data, it may be a configuration or IT maintenance issue, rather than a tech solution gap. In other words, your current system may allow for greater user individualization, but that functionality hasn’t been built out or maintained. Your IT security roadmap should identify areas where you’re not making the most of existing solutions in order to enable your IT team to make the appropriate updates. Decide how to monitor and manage security risks. Test how your IT security solution will perform in emergency situations. Determine the best data backup solution and configuration. Your IT support team should identify what security monitoring and management system will be implemented and determine how data will be stored, fortified, and recovered in the event of a system crash. This aspect of your roadmap should specify what malware software you plan to use and identify a cloud-based backup solution that meets your organizational needs. Because there’s no one-size-fits-all IT security solution, it’s important to use your risk assessment and security policy to give context to your chosen implementation, testing, and security management approach. It can be difficult to walk through every aspect of a successful IT security roadmap without an IT expert on your side. An MSP can support you in creating a comprehensive security roadmap and provide guidance regarding which solution and security approach would be ideal for your company. To learn more about how to create and implement an effective IT security plan, download our free e-book below.